We are pleased to have Dr. Michael Spradlin as our Guest Preacher for Rose Hill Baptist Church Revival on November 13-16, 2016. The following excerpt is a little about Dr. Spradlin! 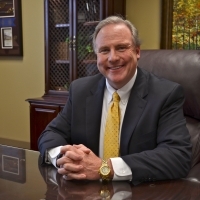 Dr. Mike Spradlin is President of Mid-America Baptist Theological Seminary appointed to the office in 1997. He is only the second person to have served as the President of Mid-America. Before then, he served as Director of the North East Campus of Mid-America in Schenectady, New York. A gifted speaker and preacher of God’s Word, Dr. Spradlin also hosts the Live By the Word radio program, a verse by verse study of books of the Bible broadcasted weekly. Dr. Spradlin’s formal training began at Ouachita Baptist University in Arkadelphia, Arkansas, where he earned a B.A. He continued his education at Mid-America Baptist Theological Seminary in Memphis, Tennessee, earning a M.Div. and a Ph.D. with his major field of study being in Old Testament and Hebrew. Dr. Spradlin is married to Lee Ann and they have three children: David, Thomas, and Laura Beth. He coaches a high school basketball team in Memphis. He is a committed member of Faith Baptist Church, but spends many Sundays as a guest preacher at churches throughout the country.